Theo Parrish’s new EP from Germany, a limited 12″ with two brand new tracks. Side A of this new wax is just an extended version of Black Mist; the track was already included on Sketches about two years ago, but it’s always nice to hear such a fine tune. On side B, however, there are two new joints: “Pop Off” and “Wild Out”. The first one has a cool piano riff looped all over the track lenght and good breaks, so it is really a pleasure playing it. 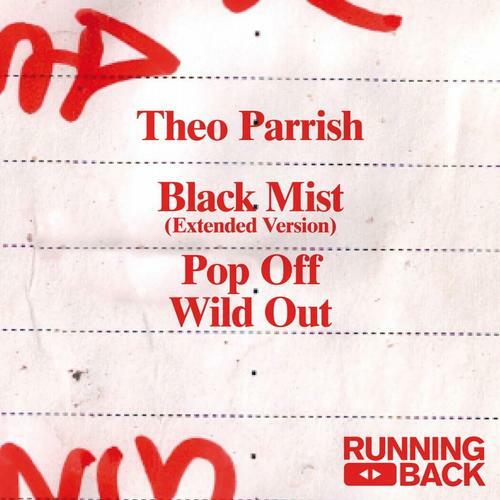 “Wild Out”, instead, is just the perfect title for the last tune; it is there to show who Theo really is, representing the dark side of his soul. Few words can be used to describe this amazing trip, because when you think that is just a mess, a feeble groove slowly comes out to help, waking you up from the nightmare.